Corrib View Construction Ltd, is an insulation and construction contractor based in Galway. On average, a home loses 20 – 30% of its heat through the walls which rises even further if they are not insulated. How it works – firstly an on-site survey is complete which entails boring a hole in one wall to facilitate the use of a boroscope. This is a camera which shows if there is any insulation in the existing cavity. We then measure the square meters of the house, excluding the doors and windows. This gives us an accurate method for pricing. We explain the detail involved in pumping cavity walls. The product we use is Enviro Bonded Bead and Glue which has been certified by NSAI which establish that the certified products used are “proper materials”suitable for use under Irish site conditions and in accordance with Building Regulations 1997-2014. 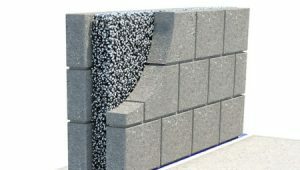 The process of pumping cavity walls is usually complete is one day. Small holes are bored in a standard pattern approved by SEAI through which the bead and glue is injected. This ensures that the entire cavity is filled and the glue binds the beads together. The holes are then filled to match as near as possible existing finish. All areas are cleaned before we leave. Works are guaranteed and insured. A Building Energy Rating (BER) has to be complete for the SEAI Grant for Cavity Wall Insulation. A Grant of €50 is paid by SEAI towards the cost of the BER. Hollow blockwalls are not not suitable for this form of cavity wall insulation. If you house does not have cavity walls you may wish to consider internal insulation.